UK Eurovision 2014 could be Simon Cowell and a Spanish Singer! The UK search for their Eurovision 2014 representative could be heading for the Simon Cowell “X-Factor” treatment and a certain Spanish Singer! Yes Simon Cowell has outed himself today as the possible man to resurrect the UK’s fortunes at Eurovision in 2014. Now by “they” he is referring to the BBC with whom Cowell has been pitting X-Factor against their Saturday night show “Strictly Come Dancing” for many years – would they hand Eurovision to the competition? To add to this – former Eurovision Mentor and Stock Aiken and Waterman producer Pete Waterman – who made poor Josh sing “That Sounds Good To Me” – said that Cowell has always wanted to get involved with Eurovision and has even penned a song for contest! “Hola” Ruth Lorenzo – the stunning Spanish contestant on the UK X-Factor who charmed the UK into placing her 4th in the contest in 2008. She confirmed that she has been asked to be part of Eurovision before and that maybe next year might be the right time to do so as she has her first English single scheduled for then”! See her answer the question. There is no denying that Ruth Lorenzo would be hitting a wider demographic at Eurovision 2014 than Bonnie and Englebert. Could you imagine the UK entry being sung in both English and Spanish? Is this a taste of things to come? Already Little Boots has publically said that she wants to enter the UK Eurovision race for 2014 and Graham Norton has recognised her intent. Already the UK entrant for 2014 is a source of speculation. 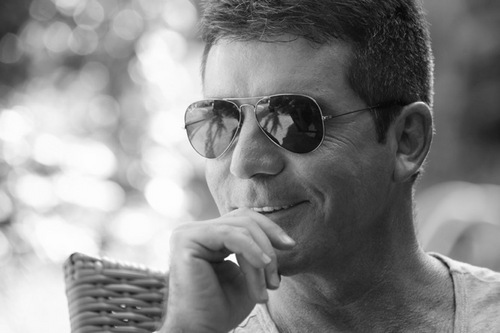 I vote for simon !